Thanks to Lindy for the heads up on this broiling copyright issue. Troy Walker, creator of the character Bob Spongee, has sued Nickelodeon, Viacom, Paramont Studios and Stephen Hillenberg over SpongeBob SquarePants. Walker notes several similarities between Bob Spongee and SpongeBob SquarePants. In addition the the name “Bob”, Walker notes the googly eyes, working class, unemployed nature of both sponges and the fact that both characters live in a house. 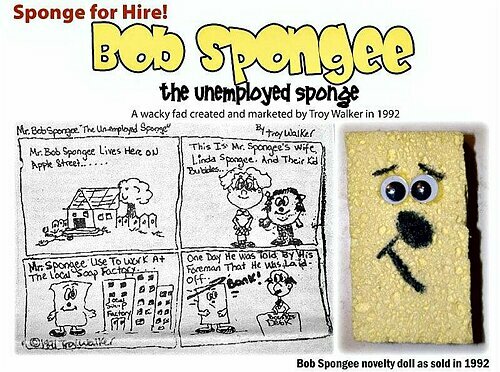 Walker also points out that the first comic strip he distributed with his Bob Spongee doll (an actual kitchen sponge with googly eyes and a drawn on face) shared its name “Sponge for Hire” with a 2004 episode of SpongeBob SquarePants. 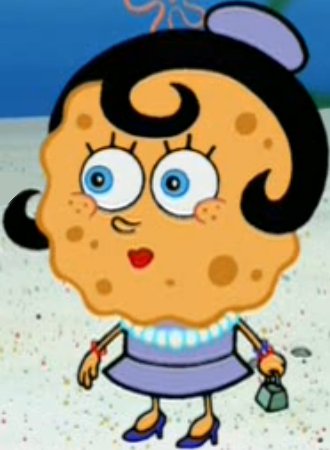 BTW/ It is interesting to compare SpongeBob’s SpongeBob’s Mother with Bob Spongee’s daughter. Separated at birth?